Rolfing has been a life changing experience for me. Originally I was seeking a therapy to help me sustain a very athletic lifestyle. What I found in Rolfing was that and so much more! I found better posture and alignment through Rolfing; I felt taller, lighter and less prone to injury. During and after my initial ten series I gained awareness of the subtle messages and sensations of my body. I learned that my body was intelligent and there was some self organizing mechanism always seeking health and order. After I had abdominal surgery, skilled manual therapists freed scar tissue and adhesions that were a result of the surgery, helping my viscera regain its healthy, normal movement. Manual therapy just after a serious motorcycle accident where I fractured my pelvis rehabbed me to where I could walk into the orthopedist just five weeks after the accident without crutches or a cane, when the doctor had told me my recovery would take months. I owe a lot to this body of work for all that it has done for me; that’s one reason I am continually expanding my knowledge and understanding of Rolfing and manual therapy. Over the years I have added to my basic Rolfing training with certification in Rolf Movement and Advanced Rolfing, continuing education in biodynamic cranial sacral therapy, visceral and neural manipulation. My passion for this work has garnered me over 2000 hours in the classroom with more classes scheduled for 2015. Practicing this work brings me the great pleasure of helping people along their own journey. There is vast complexity when it comes to the human body and human experience, yet there is something so simple about this work: with intelligent hands, and knowledge of human anatomy and movement, lasting growth and change may be accomplished. 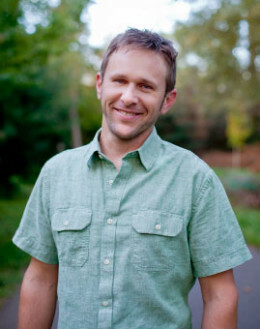 Jason Rambo is a Certified Rolfer and manual therapist in Southern Oregon.